The bear market has come as a blessing for some companies and promoters. Foreign institutional investors (FIIs) have sold Indian stocks worth at least ₹ 2,595 crore since January, mainly to the promoters of these companies who are looking to buy shares cheap before the new takeover code kicks in from the last week of October, making such purchases dearer. According to the Securities and Exchange Board of India (Sebi), FIIs, the key drivers of Indian markets, have sold shares worth ₹ 2,595 crore till 23 September through primary market deals such as delistings, buy-backs and open offers net of buying in initial public offerings and other transactions. In the corresponding period last year, they had invested ₹ 38,925.5 crore in primary market deals. The 30-share bellwether equity index of BSE, the Sensex, has lost 21.74% since January, mirroring the fall in global markets in the wake of a threat of a double-dip in the world’s affluent economies. “There is a significant rise in the number of open offers, buy-backs and delistings. FIIs are offloading their stakes through these non-secondary offers," said U.R. Bhat, managing director of Dalton Capital Advisors (India) Pvt. Ltd, an FII. “There is an arbitrage between secondary market and buy-backs and delisting. Promoters are capitalizing on the fall in share prices by buying shares back from investors," he added. According to Bhat, companies with 75-90% promoter holding will most likely increase their stake and delist. They can relist again when the markets rise. There are 214 such listed companies. In 2011, 30 companies applied for delisting with stock exchanges in the first eight months of the year, 64 firms applied for open offers with Sebi and at least 42 firms followed the buy-back route, according to Prime Database, a Delhi-based primary market tracker. Eight firms have already delisted their shares valued at a total ₹ 3,057.62 crore and there have been 17 buy-backs valued at ₹ 5,283.96 crore, according to Prime Databse. Nirma Ltd (Rs 379.84 crore), Binani Cement Ltd (Rs 81.7 crore) and Atlas Copco (India) Ltd (Rs 502.6 crore) are some of the companies that are in the process of delisting their shares. In comparison, calendar year 2010 saw nine delistings valued at a total ₹ 948.26 crore, while 12 companies bought their shares back worth ₹ 1,229.40 crore. The market has turned bearish at a time when the new takeover code is set to be implemented. The code, effective 22 October, will require an acquirer to mandatorily buy at least 26% shares in an open offer and the trigger for such an offer will be 25%. Currently, the trigger is 15% and the mandatory open offer is for at least 20%. The new norms will also make it relatively difficult for companies to opt for delisting. Currently, if an acquirer’s share purchase following an open offer leads to a fall of public shareholding below 25%, it can either pare its stake to 75% within the next 12 months or choose to delist the company by reducing the public holding at least 10%. Under the new norms, the buyer’s right to delist a company in such a manner has been revoked. The new norms require such an acquirer (with more than 75% stake) to dilute its stake to 75% within 12 months from the date of the open offer. Only after that can it opt for delisting the company, making this a relatively cumbersome process. Open offers are made at a premium to the prevailing market price of shares. With the market in a bear phase, several stocks are trading either close to their fair valuation or below. So, even while offering a premium to the prevailing market price for buying shares through an open offer, an acquirer not only gets management control at a low cost, but also holds the prospects of booking profit when the markets turn bullish. “Open offer tenders are always higher in bear-market phases. 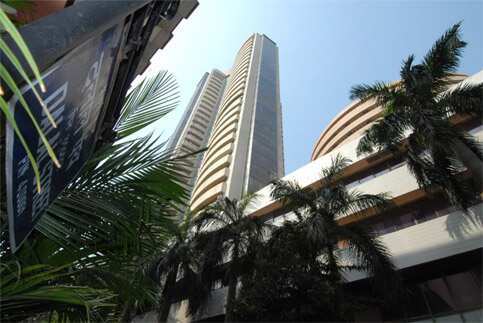 A lot of companies, mostly multinational ones, which have low public shareholding are said to have plans to delist from the Indian bourses," said Vikas Khemani, president (wholesale capital market) at Edelweiss Capital Ltd.
Buy-back offers of Reliance Infrastructure Ltd (1,000 crore), Zee Entertainment Enterprises Ltd (Rs 700 crore) and Deccan Chronicle Holdings Ltd (Rs 270 crore) are currently on. A company buys its shares from shareholders and extinguishes them. Typically, FIIs buy shares on buy-back announcements and offer to sell them to the company, booking profits. A company can buy back its shares to the extent of 25% of its paid-up capital and reserves with a shareholders’ resolution and up to 10% without any resolution as per the Companies Act. Companies go for buy-backs when the share price is undervalued or an eventual delisting is intended. By reducing the number of outstanding shares through a buy-back, a company increases its earnings per share (EPS). If the EPS increases, the price-earnings multiple decreases, making shares attractive. Some companies, especially those with foreign promoters, resort to buy-backs to eventually delist from Indian bourses. It is done either through open market purchases or tender offers. “This is happening globally. Companies that are sitting on cash are buying back shares as they think valuations are pretty low and a buy-back helps them improve the earnings per share and other key financial indicators," said Brijesh Koshal, managing director (investment banking) at Daiwa Capital Markets India Pvt. Ltd.
Firms with less than 25% public holding, which have been waiting to voluntarily delist, have got an opportunity to do so cheap with their stocks trading low. All listed firms are required to meet a minimum 25% public shareholding criterion by June 2013. There are at least 1,700 companies with less than 25% public holding. Firms that have more than 25% public holding but do not intend to delist can maximize returns for their shareholders at a lower cost by buying back shares from the investors till the promoter holding reaches 75%. A company’s shares are delisted when the public shareholding falls below 10%. Once a company is delisted, it is allowed to relist securities only after two years.